Forgiveness and accuracy are achieved through extreme perimeter weighting in the 17-4 stainless steel head. 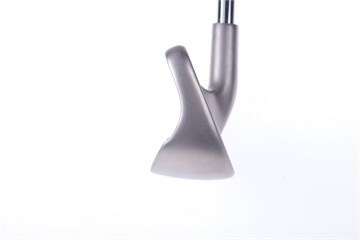 A multi-material cavity badge made of soft elastomer improves feel and sound while enhancing distance control, allowing you to play your best golf. 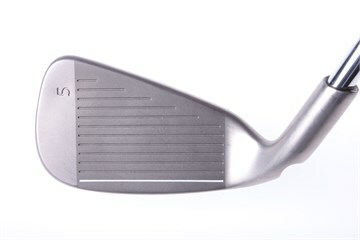 Weight in the back flange of the deeply cut, multi-cavity head increases the MOI. 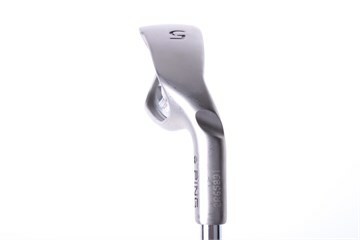 Combined with PING’s new CFS steel shaft, the G20 optimizes feel and trajectories. Remarkably good quality of head, shaft and grip for a 7-year old model. The G20s have a really good feel I took to them straight away.They are very fore giving club which for 28 handicapper will help my game ,so anybody who is thinking of buying the ping G20s I highly recommend them. The clubs were perfectly described and in excellent condition and well package. The whole service was super efficient and delivered promptly as specified. Keep up the great work. I'll be back !!! Found these irons in the correct dot and length and since using them handicap has dropped by two!! Superb irons for the beginner. Superb service to go with them as well. Great part ex price given on my trade ins and super quick delivery on both irons and cheque. Thanks golfbidder and will use them again for any future purchases.